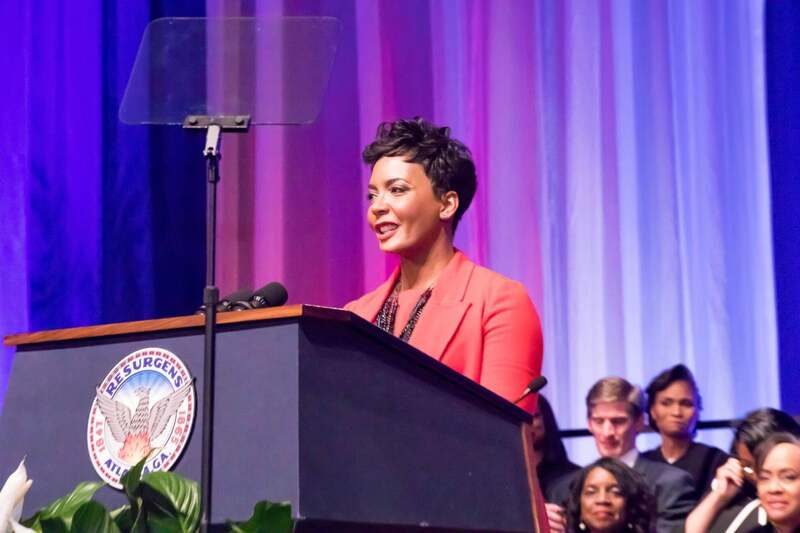 On Tuesday, January 2, Keisha Lance Bottoms was officially sworn in as the 60th Mayor of Atlanta. 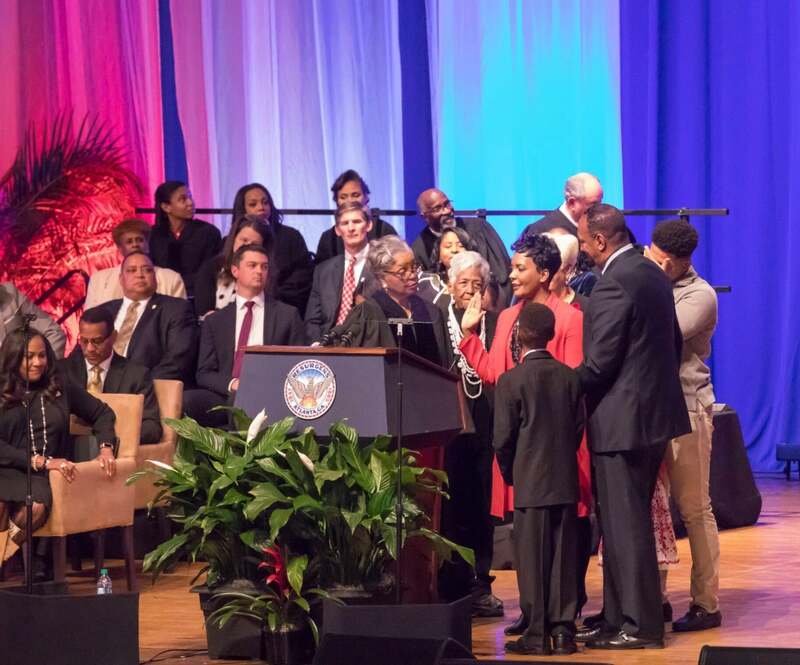 As we continue to celebrate her monumental accomplishment of becoming the second Black woman to hold the position, here’s a look back at a few highlights that made the her inauguration ceremony a truly magical moment filled with Black excellence. 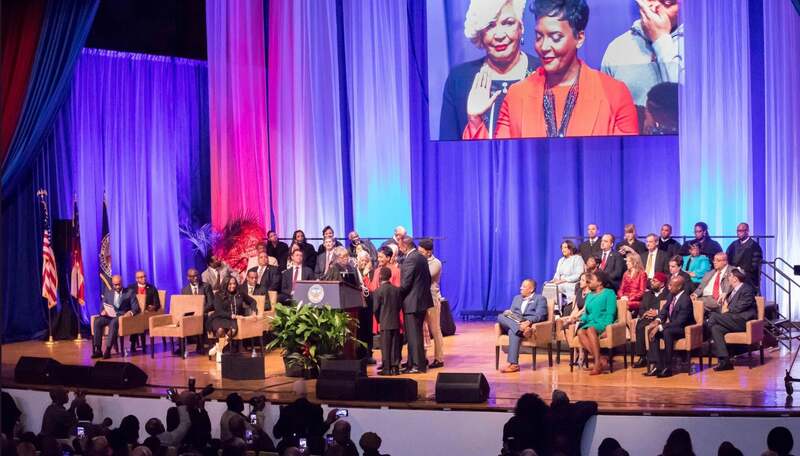 Mayor Lance Bottoms was officially sworn in at the Dr. Martin Luther King Jr International Chapel on the Morehouse College campus. 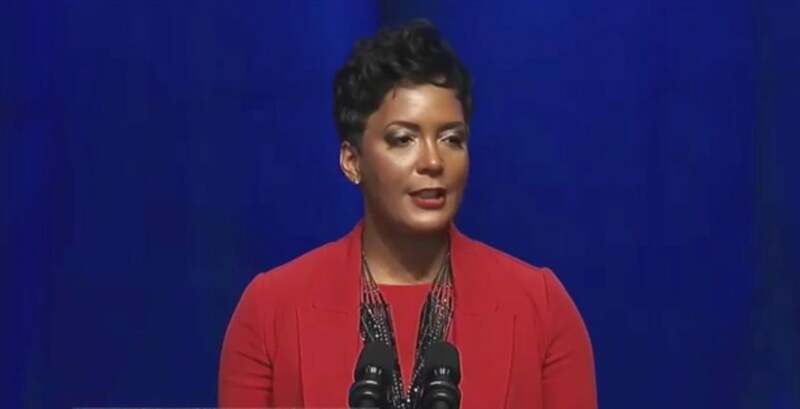 "Only in Atlanta could a young girl name Keisha, who attended Fredrick Douglas High School on the west side of Atlanta, go on to become the 60th mayor of the greatest city in the world." The new mayor attended Frederick Douglas High School as a teen, which she mentioned during her speech. 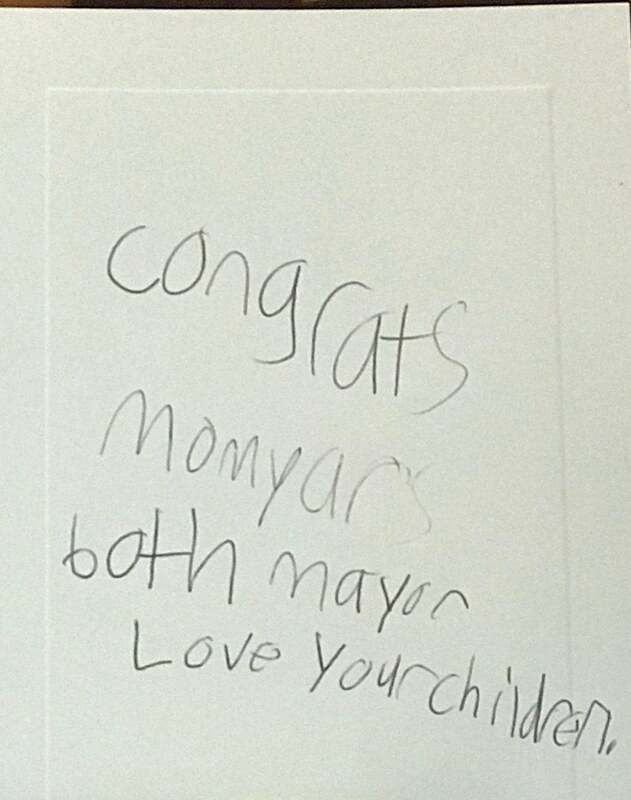 Mrs. Lance Bottoms shared the note on her personal Twitter page just ahead of her inauguration. 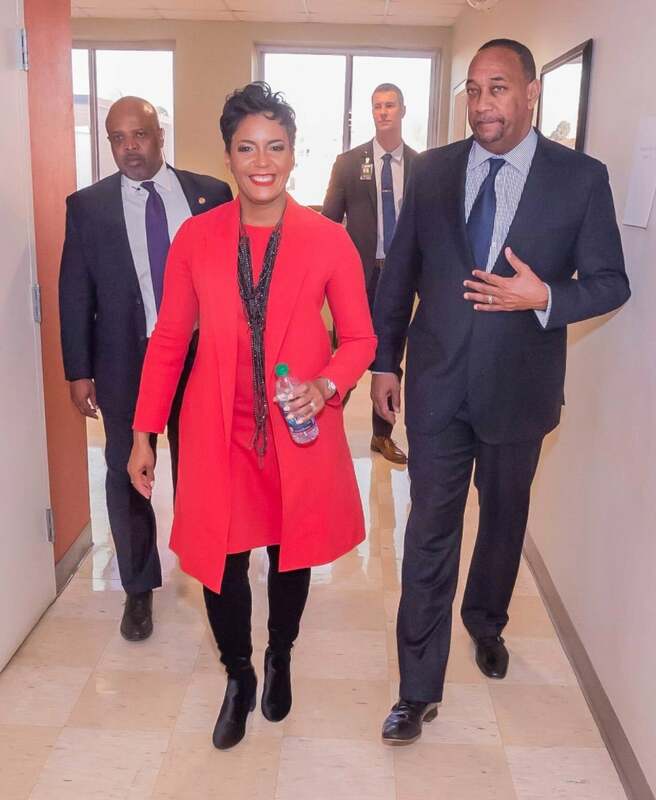 In addition to vowing to prioritize affordability and equity to combat the economic disparity in Atlanta, Lance Bottoms pledged a $1 billion affordable housing plan for the city. 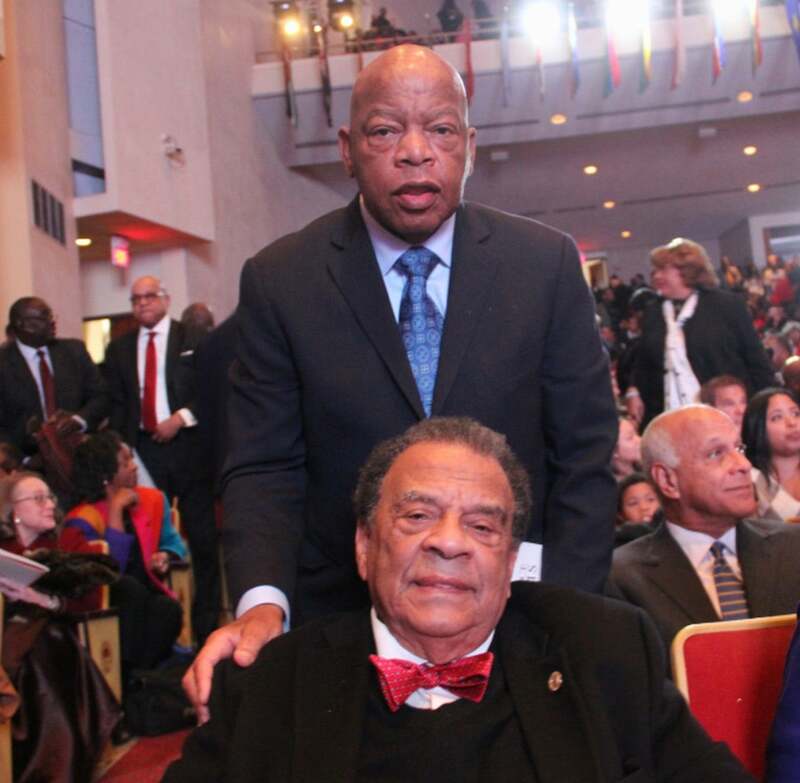 Everyone from Congressman and civil rights icon John Lewis, to former Mayor Kasim Reed, to singer Tyrese, to rapper and fellow Fredrick Douglas High School alum T.I. was in attendance for the historic ceremony. 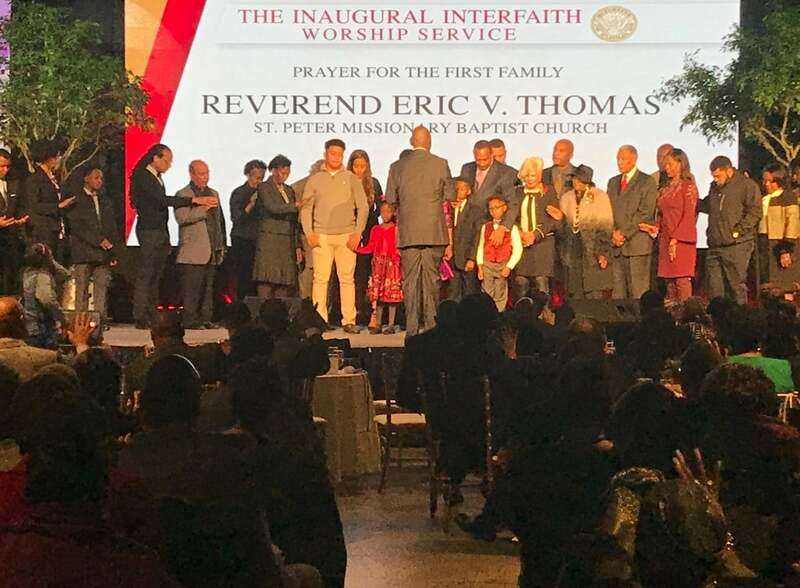 Earlier in the day, the Impact Church congregation held a celebration ceremony in honor of the new mayor, where they prayed over her family and celebrated her through song. During a brief address, she shared that it was during an Impact Church service that she made the decision to run for mayor.